Facial pain refers to any type of pain that you experience in any part of your face, including the eyes and mouth. You usually feel the pain because of a headache or an injury, but it could also be an indication of a rather serious medical condition. It is therefore important to identify the underlying cause of your facial pain. 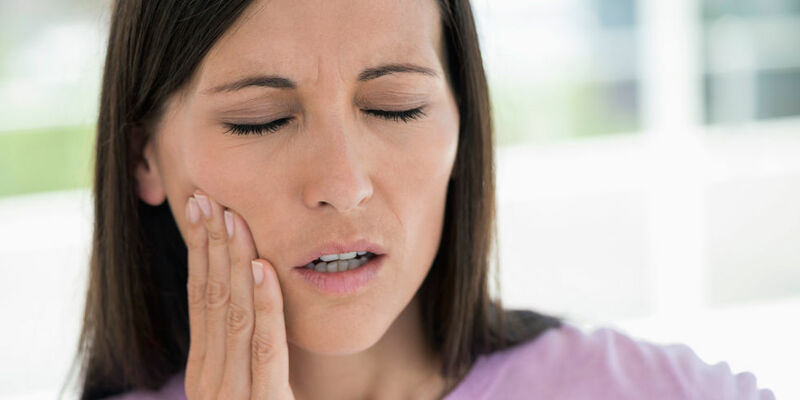 It can be quite annoying to deal with pain in any part of your face, and here are some possible causes of your facial pain. You develop this condition when your nasal cavities swell because of an infection. Sometimes, only one of your sinuses becomes inflamed, which causes pain only on one side of your face. It is possible to have pain in your forehead, in your upper jaws and teeth, on your nose, or between your eyes. You may develop a severe headache as well. To relieve your symptoms, you may consider using a nasal decongestant spray, such as oxymetazoline or phenylephrine. This is a short-term treatment option though. You can also take OTC medicines that contain decongestants and antihistamines to relieve sinus infections. Allegra, Zyrtec, Sudafed, and Claritin are some of the most popular medicines to take in this case. Medications may help relieve the symptoms of a deviated septum. Sometimes, medications do not produce desired results. This is when your doctor may recommend a surgical procedure called septoplasty that helps improve this condition. Non-steroidal anti-inflammatory drugs (NSAIDs), such as ibuprofen or naproxen, can relieve pain and swelling. Using mouth guards or oral splints may also help. Some patients also respond well to physical therapies like moist heat and ultrasound. Rarely, you need surgical procedures, including arthrocentesis, modified condylotomy, TMJ arthroscopy, and open-joint surgery for relief. You may have TN if your right side of face hurts. TN causes intermittent, shooting pain in the face. The condition affects the largest nerve in the head called the trigeminal nerve. This causes a severe, electric shock-like pain that hits you suddenly and often lasts several seconds. You may experience the pain around your lips, nose, eyes, forehead, and scalp. Symptoms may appear when you brush your teeth, swallow something, or put on makeup. Sometimes, feeling a slight breeze can also trigger the symptoms. Your doctor may prescribe anti-seizure drugs such as gabapentin or carbamazepine to treat trigeminal neuralgia. Some medications such as clonazepam and divalproex sodium also prove effective, especially when taking in combination with other medications. Neurosurgical procedures are often recommended in case medications do not work. These procedures involve relieving pressure on the nerve. You may also benefit from alternative medical therapies, such as chiropractic adjustment, acupuncture, meditation, and self-hypnosis. Your doctor may give you a high dose of corticosteroid drug to treat your condition. You may have to take medications for a couple of years to get desired results, but your doctor may lower the dose after the first month of your treatment. Antiviral drugs and corticosteroids usually help treat the condition. Physical therapy also helps. Your therapist may also teach you certain exercises and massage techniques to improve your paralysis. What's more, plastic surgery proves beneficial in some cases. Note: See your doctor immediately for a clear diagnosis when the right side of face hurts. Can You Use Apple Cider Vinegar for Toenail Fungus? How Do You Get Mono?